South Berwick, Maine-After waging war against aggressive brain cancer for nearly three years, Amy Harper is at peace. She gained her wings on October 12th to be with our Lord. Throughout her battle, she carried on with a grace, determination, spirit and faith that awed and inspired those around her. Amy was born on July 8, 1966 to Lorraine Tompkins and the late Harold Dennis and grew up in Old Furnace, MA. She attended college in Worcester, MA and earned her Certificate of Dental Assisting. She moved to Maine after marrying Rob Harper and they made their home in South Berwick for over twenty eight years. She worked for many years as a Dental Assistant, house cleaner and most recently, as the Office Manager at Brixham Danceworks. While she enjoyed her work, her life’s calling were as a wife, mother, grandmother, sister, aunt and friend. Amy was a phenomenal cook and baker who enjoyed having her home filled with friends and family. She also fully embraced her role as a crazy cat lady. Amy will forever be in the hearts of her husband of thirty years, Rob, their daughter, Olivia, their son Robby and his wife Morgan, and their daughter, Evelyn Rose, who will always remember her Mamy. Amy also leaves behind her mother, Lorraine Tompkins, sister Debbie Breen and her husband, Mike, sister Kim Kelley and her husband, Mark, mother-in-law, Mary Ellen Harper, sister Ellen Kenney and her husband, Bud, brother Tom Harper, and his wife, Celina, and several aunts, uncles, nieces, and nephews. She will be deeply missed by her many dear friends who loved, prayed for and supported her. Her fur babies, Miagi, Sheldon and Betty will miss her greatly. Memorial donations in Amy’s memory can be made to The Center for Wildlife in Cape Neddick, Maine (https://www.thecenterforwildlife.org/), St. Jude Children’s Hospital (www.stjude.org) or Amy’s Treat (amystreat.org) a foundation dedicated to providing solutions to the day-to-day difficulties of living with cancer and offers unexpected “treats” to renew the spirit to benefit the patients of the Seacoast Cancer Center of New Hampshire. 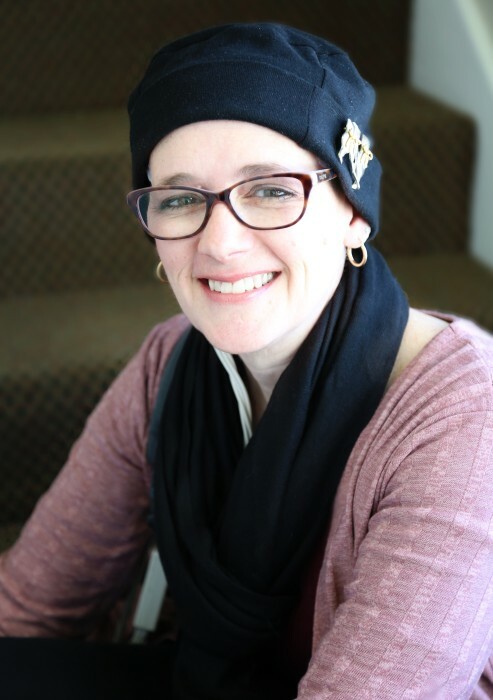 Amy and her family wish to thank the staff of Seacoast Cancer Center, especially Dr. Amy Bessnow, who treated Amy, not just her cancer, and Wentworth Home Care and Hospice, who took wonderful care of Amy and her family. They also wish to thank their faith family at St. Mary and St. Ignatius Parishes, especially Fr. Andrew Nelson, who nourished her spirit and faith. And a special thanks to the Brixham Danceworks family who formed Amy’s Army, spanning from Maine to Florida, to support Amy and her family. Never let the sparkle fade.